We will be closed from April 27th to May 6th due to spring holidays. Our sales offices and headquarters will be closed from April 27th to May 6th due to spring holiday season. Due to the above, please note that there is a possibility of delay in shipment and delivery of items. Also, the messages sent to our contacts will be processed after the holidays. Thank you for your understanding. New UV Label "LED-1" for UVA wavelength launched. UV LabelTM is single-use indicators irreversibly changes its color from white to various color by ultraviolet light irradiation. The products of 5 types (S, H, M, L, LED-1) are available depends on the sensitivity or the wavelength required. LED-1 label changes from white to vivid blue. 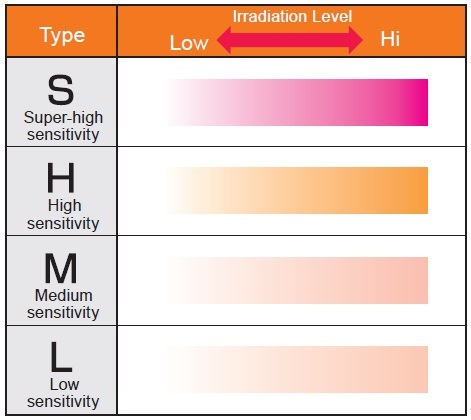 There is high sensitivity against around UVA range like 365, 385, 395 and 405 nm. Information of Underwater Winch is fully updated. *If you'd find the website which carries our brand name "NiGK" but has HDQ outside of Japan, please contact us. We have no subsidiary overseas and such website can swindle you. NiGK has nothing to do with such self-appointed malicious distributor. We would like to thank you all for taking time to visit our booth at METALEX 2018 in Thailand is held from Nov. 21 to 24. We are very excited about a lot of visitors. It was a great opportunity to present our products. Thank you for your interest in our products and we look forward to serving you. See you in METALEX 2019! NiGK established in 1980 and has been providing high-quality and unique products for professionals. from the ocean to outer space for the betterment of mankind and society.